Kathmandu: As the audience wonders whether Natha, the poor farmer from Peepli village, will kill himself to save his family and land in Aamir Khan`s latest hit production “Peepli Live”, it is much more than just a story in Nepal. “Peepli Live” is alarmingly coming alive in the country, impoverished by centuries of exploitative kings and prime ministers, a series of failed governments and a 10-year civil war that has emptied out entire villages of young people. As debutante director Anusha Rizvi`s accolade-winning film opened in Nepal`s theatres Aug 13, the nation, in a sombre coincidence, is mulling over two suicides that have shaken people already familiar with death, disaster and injustice. The first occurred Aug 13 itself when a 35-year-old woman, abandoned by her husband and unable to provide for her two children, first threw them into a river to die and then set herself on fire. The second suicide was still more stunning with the victim being the son of a peasant leader who had taken part in an earlier uprising in eastern Nepal. Shambhu Rajbanshi killed himself in Nepal`s tea garden district of Jhapa Sunday after years of frustration. Four months ago, his father Digendra Rajbanshi had hanged himself in the headquarters of the Communist Party of Nepal-Unified Marxist Leninist, Nepal`s ruling party. Digendra Rajbanshi, a member of the party, was a peasant leader who mobilised people during the popular uprising against Nepal`s oligarchical Rana rule in 1950. He had been arrested and jailed for almost a decade. But despite his contribution, the peasant leader`s bitter complaint was that the party had abandoned him and others like him. He had been seeking a job for his son but to no avail. While Nepal`s media hailed “Peepli Live” as a film worth watching, veteran journalist and columnist Gunaraj Luitel said its message was meant for Nepal as well. “The crisis is not just (for) Indian farmers,” Luitel wrote in his weekly column in the Nagarik daily. Movie Review: Help; Star cast: Bobby Deol, Mugdha Godse, Shreyas Talpade, Sophie Handa, Jyoti Dogra and Salim Fatehi; Director: Rajeev Manoj Virani; Rating: *** – Has the chills and thrills. Rajeev Manoj Virani’s Help is a well made horror film that succeeds in giving you the requisite chills and thrills expected out of a good horror film but the problem lies with the unoriginality of the plot that seems heavily inspired from Thai film Alone. Vic (Bobby Deol) is a filmmaker in a relationship with Pia (Mugdha). There relationship is going through turmoil because of rumours linking Vic with his actress Sussane (Linda Arsenio). The couple has to immediately fly to Mauritius, after they get a call about Pia’s dad (Salim Fatehi) having a heart attack. But after Pia comes back to her ancestral house strange things start happening with her. She starts seeing her dead twin sister Dia who had died when she was five. After it is known that Pia is pregnant the spirit of her twin sister completely possesses her body even making her a murderer of her near and dear ones. A baffled Vic then decides to take the help of a parapsychologist Aditya (Shreyas Talpade) to solve the mystery and save Mugdha. But as they dig deeper, Aditya and Vic are shocked by the revelations behind the strange happenings! Agreed it is an inspired film but full marks to debutante Rajiv Manoj Virani for keeping his narrative focused on the main plot and making a technically superb film. It doesn’t look like his first attempt at all. For those who haven’t seen the original, Help has enough genuinely spooky moments to keep you on the edge of your seats. Just like Bhoot, this film succeeds in scaring you in broad day light sequences too. All the spooky sequences have been extremely well shot be it sequences when the spirit of the little girl crawls on the ceiling scaring the daylights out of Mugdha or the climax after Shreyas comes back to Bobby and Mugdha. The final revelation is least expected and a true shocker in every sense of the word. Mugdha enacts her difficult role fairly well. Bobby Deol is earnest and does well in his part. Shreyas Talpade is very impressive, especially in the climax sequence. Salim Fatehi is good and so is Sophie Handa who plays Mugdha’s best friend. Jyoti Dogra playing Mugdha’s mom is terrific and gives you the chills whenever she is on screen. Camerawork by Dhimant Vyas is very good especially for the night sequences. Ashu’s music is passable. Help is a fairly engrossing watch for those who like horror films. Sure it is an inspired film but which film isn’t nowadays? This technically well shot film is paisa vasool where chills and thrills are concerned. Movie Review: Peepli Live; Star cast: Omkar Das Manikpuri, Raghuveer Yadav, Malaika Shenoy, Nawazuddin Siddiqui, Shalini Vatsa, Vishal Sharma and Naseeruddin Shah; Director: Anusha Rizvi; Rating: ***1/2 – Is a brilliant satire. During times when a majority of Hindi films carrying big star names have been flopping left, right center attributed to the fact that their content is poor, comes Aamir Khan produced Peepli [Live] starring no big names but superbly directed strong on content brilliant multi layered satire. It takes you straight into the heart of the real India, into the lives of BPL (Below Poverty Line) people and their problems. While on the periphery the film might appear to be a spoof on the farmer suicides, it ends up conveying much more and presents some shocking facts. Peepli village residents, Natha (Omkar Das) and his elder brother Budhia (Yadav) lose their family land to the bank since they cannot repay their loan. Helpless, they seek help of the local village politician Bhai Thakur (Sitaram Panchal). While Bhai Thakur insults them, one of his cronies mockingly tells the duo about a Government Policy that gives monetary benefit to farmers committing suicides. The brothers take that idea seriously. In a superbly written scene, Budhia manages to get Natha volunteer to commit suicide for the sake of his family. A local reporter, Rakesh (Nawazuddin) gets the whiff of this and does a story on for his newspaper. He also intimates a big English news channel reporter Nandita Malik (Malaika Shenoy) about the same. But no sooner does she breaks this news on her channel, almost every single channel rushes in to cover Natha’s suicide story live. The local by-elections are just around the corner what with it being the state chief minister’s seat at stake. What all chaos it all leads to forms the rest part of the story. TV journalist turned filmmaker Anusha Rizvi has handled her directorial debut like a pro. Her biggest ace is her black humour laced script that successfully packs in all the rot in our system. The lingo is earthy and much humour is derived from the manner it is spoken by the characters. Anusha leaves no stone unturned to poke fun of vote hungry politicians, the so called government policies for the BPL Indian’s that aide a dead farmer more than alive ones and the TRP thirsty channel heads and their reporters who don’t think twice before stooping to the lowest levels to grab audience attention. The poignant ends of Rakesh and an inconsequential village farmer stings your heart. While not many might agree with the unusual climax, it ends up presenting a disturbing fact. Though the film brings back memories of Mahesh Manjrekar’s Pran Jaaye Par Shaan Na Jaaye (2003) which had a character declaring a suicide and the commotion that follows, it’s Anusha’s subtlety in handling these portions that sets it apart. Anusha scores high in her casting as her actors lend tremendous authenticity to the plot. Omkar Das Manikpuri is a real find. With his mere expressions, he makes his character extremely endearing. Raghuveer Yadav grabs your attention whenever on screen. Malaika Shenoy is extremely convincing. Naseerudin Shah’s cameo as the wily Agriculture Minister is just perfect. Playing to the gallery, Vishal Sharma as the Hindi TV channel journo nails it perfectly. Also impressive is Farrukh Jaffer as Natha’s bed ridden forever venom spewing mother and Shalini Vatsa as Natha’s feisty wife. Nawazzudin is exceptional as the reporter whose conscience awakens. The film’s earthy soundtrack by Indian Ocean and Nageen Tanveer is just apt and Shankar Raman’s camerawork enhances the impact. Anusha Rizvi’s Peepli [Live] is an excellent expose of the great Indian political tamasha, with the right amount of pinches at the flawed system and rightly showcases how the real value of a life is always ignored amidst the media circus. Please don’t miss it for anything. Black comedies like Peepli [Live] are a rarity in Bollywood. This film is all about a revolutionary movement started by the victims of our stereotype education system. A disheartened IT professor, Tariq Siddhiqi (Anupam kher) who is basically disappointed with the orthodox education system and Devang Tripathi (Ashish Vidyarthi) an alcoholic professor who is thrown out from Mumbai University for his abstract methodology for teaching and Arjun Sehghal, (Ankur Khanna) an under achieving student who disenchants the traditional education system as he doesn’t believe in grading system and Priyanka (Arshi) who wants to break through the typical parental pressure of our society to accomplish her passion as a super model. Finally as they all posses same perception towards our stereotype education system, they decide to go against to it and they form an abstract pattern of education system to encourage the failure students of our society. But problem arises for them when Raghavendra Reddy (Pramod Moutho), the dean of a prestigious college in Pune complains to the National Accreditation Council (NAC) against the new college for being run without accreditation. The subject is very topical and the film appears extremely well intended but the director K.D. Satyam fails in executing it well. Amateurish writing makes the matters worse. The new college looks more like an ashram where classes on seduction and occult sciences are held apart from those in cookery and painting! During a sequence, the college girls and boys are shown to be sleeping with one another in suggestive positions. Is this the kind of new education the makers suggest in place of the existing one? What is the funniest part of the film is the characters talking about education can’t even pronounce English words right. Ankur Khanna who earlier made an impressive debut Yun Hota To Kya Hota (2006) delivers a sincere performance. Arshi needs to brush up her acting skills. Veterans Anupam Kher, Rati Agnihotri and Ashish Vidyarthi are good as usual. Pramod Moutho is impressive. The only positive thing to talk about this film is the music by Amit Trivedi of Dev.D fame. But sad such good tunes are wasted on a film like this. Avoid this one at any cost and stay away from acquiring an instant headache. Movie Review: Once Upon A Time In Mumbai; Star cast: Ajay Devgan, Emraan Hashmi, Kangana Ranaut, Prachi Desai and Randeep Hooda; Director: Milan Luthria; Rating: ***1/2 – Amongst Bollywood’s best underworld sagas. You seldom get period dramas in Bollywood which are not about historical characters. This year that way has been very lucky that way. Couple of months ago we had Badmaash Company and now we have Once Upon a Time in Mumbaai. Of course both are completely different from each other, the first being set in the fast 90s and the latter being set in colourful 70s. And director Milan Luthria makes enough efforts to make OUATIM look very authentic and worth a watch for its settings. Settings apart the film has its pluses with some superb performances and great dialogues. However the problem with the film is the not so new storyline and the very slow screenplay. Though the characters are well established and well rounded the writer takes the entire first half to do that without much movement in the story. And then as you expect fireworks in the second half it fizzles out too fast. OUATIM is the story of two gangsters. While one was ethical the other was reckless. It has inspirations of the characters of infamous smuggler Haji Mastan and now infamous don Dawood Ibrahim. The film is about Sultan (Ajay Devgn) who labored through his childhood and became a smuggler as he grew up completely ruling the sea routes. He however always preferred keeping the city clean and never smuggles which was against his conscience. Shoaib (Emraan Hashmi) is inspired by Sultan’s life as a child and wants to it as big. He is a son of a police officer but has no inclination towards the law. As he grows up he makes his way to Sultan’s gang and proves himself good enough to go up the ladder fast. However his reckless ambitions soon outgrew Sultan and he decided to take over the city on his own. The story is built on the line – ‘behind the myth is the city’s greatest betrayal story’. The screenplay does not give much importance to the betrayal. The slow pace of the first half could be a put off. Also funnily Sultan and his girlfriend Rehana never seem to age as they continue to look the same even as Shoaib grows from a child to rustic young crook. The film has its pluses. Luthria has taken care of everything – right from trains to cars to sunglasses to shoes to buildings! Everything takes us back to the 70s. Luthria handles the dramatic moments well and great use has been made of dialoguebaazi. All actors have come up with some memorable performances. Ajay Devgn’s overpowering presence is matched by Emraan’s charm. Kangna Ranaut and Prachi Desai do their bits well though they don’t bear many consequences on the story itself. Randeep Hooda is effective as the police office. 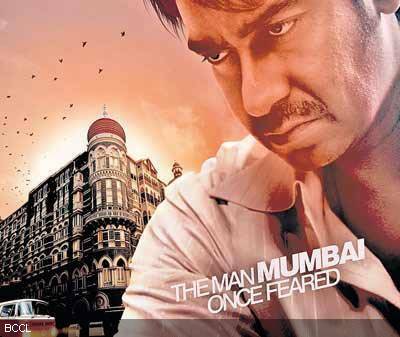 Overall, ‘Once Upon a Time in Mumbaai’ is an entertainer. It does not need any effort to be understood of liked. It is the mere magic of characters created that makes this film worth watching. This film has a common man as its protagonist and talks about the corruption he resorts to, to adapt to a bureaucracy, which he believes he can’t change single-handedly. Pretty much like talented filmmaker Priyadarshan who gave us rare gems like Kaala Paani and Kanchivaram but has more often served us coal-tar cinema by acclimatizing himself to the tastelessness of Bollywood bureaucracy. And then he calls it Khatta Meetha . So Priyadarshan continues his ritual of remakes by revisiting his own 1989 film, Vellanakalude Nadu (starring Mohanlal and Shobana). The utmost upgrading he does to the two-decade old plot is by altering the Malayalam milieu to Marathi to which you can only say nanachi taang (to hell with). The film opens with some civil contractors embroiled in a scam when the bridge they had constructed, collapses. But the bridge breakdown has little link to the plot which gives more room to accommodate Akshay Kumar and his antiques which invariably means loud performances, slapstick humour and chunks of commotion and chaos. Sachin Tichkule (Akshay Kumar) is a road contractor under heavy debt. He also has an extended joint family though the horde of half-baked characters has no significant role in the story. A new municipal commissioner (Trisha) arrives in the area who happens to be Sachin’s ex-girlfriend. A flashback account of their boring college bonding and equally bland break-off is as much roadblock to the narrative as much as Sachin finds in his civil career-graph. A road-roller episode directly derived from the cult television series Malgudi Days (and more recently also seen in another TV series Lapataganj ) doesn’t smoothen the sketchy storytelling. Suddenly when the director realizes that too much time has been exhausted in conveying too little, the screenplay is conveniently rushed. So the hero gives an incoherent speech on lack of love and compatibility amongst countrymen. You wonder why? Soon after, he confesses his love to the heroine to make way for a traditionally dressed song and dance routine. When things still don’t work, the filmmaker opts for the oldest cinematic clichés. The hero’s sister gets raped. The witness gets killed before reaching court. Hero and villain indulge in dishoom dishoom . Film ends but mediocrity prevails. Khatta Meetha lacks wit and sarcasm and by no means can be termed as a political satire. Rather it’s a blatant and full-blown melodramatic tale of corruption that one has witnessed in zillion films before. The writing branches into too many subplots from politics, family, romance but seems disjoint rather than appearing multifaceted. The family characterizations of a powerless patriarch (Kulbhushan Kharbanda), scheming siblings and the ridiculed younger son protagonist (Akshay Kumar) are quite reminiscent of Anil Kapoor’s Saaheb (1985). The Marathi nuances in dialogues seem forced. Arun Kumar’s loose editing often makes you lose the narrative. Sabu Cyril repeats his preset Priyadarshan-pattern art direction . Even the usually dependable V Manikandan’s camerawork is irritatingly inconsistent in the climax fight perhaps because he focuses more on capturing the banian brand for in-film placement . Also Pritam’s music fails to impress this time around. Akshay Kumar continues his buffoonery which is not much to speak about. Trisha has nothing notable to deliver in her Bollywood debut. None of the countless character artists are worth a mention. In the last scene of the film, Akshay Kumar casually comments, “ mujhe kuch waqt ke liye shanti chahiye ” (I need peace for sometime). He pretty much resonates the sentiments of audiences who have been seeing him repeat the same loud and caricatured characters in the name of comedy. Khatta Meetha ends up leaving a bad taste in your mouth. Sahara One Motion Picture & S K Films Enterprises presents, the Shahid Kapur-Kareena Kapoor starrer Milenge Milenge. The romantic comedy MILENGE MILENGE is produced by Boney Kapoor. This is Shahid & Kareena’s fifth film together. Other starcast include Satish Shah, Kirron Kher, Aarti Chhabria, Delnaaz Paul, Himani Shivpuri, Satish Kaushik. Milenge Milenge is Directed by Satish Kaushik with music by Himmesh Reshammiya, The lyrics of the movie is penned by Sameer. Love happens, if you let it; even if destiny has to step in to lend a hand. But when it’s about finding that special person you’re going to spend the rest of your life with, should you risk tempting fate with a test of that love or should you just embrace your destiny? Priya (Kareena Kapoor) believes in love. All she wants to do in life is find her Prince Charming and live happily ever after. When a tarot card reader (Kirron Kher) tells her that she will find him on specific day, wearing specific clothes, Priya is over the moon. She flies off to attend a Youth Festival in Bangkok. Here she meets Amit (Shahid Kapoor) on that specific day, wearing specific clothes. The attraction is instant. And she’s convinced he’s the guy for her. But just as the festival comes to an end, so does her love story. Amit, tries to woo her back by telling her that they are destined to be together. Priya retorts that if it is indeed destiny, then they will find each other again, even if all they know of the other is the name! Years go by and both of them move on in life. Both are engaged to married, but neither is happy. Priya has this horrible nagging feeling that Amit was indeed her one true love. Amit too feels the same about her. Will destiny play Cupid again and conspire to bring them back together? Or will destiny take her revenge for being thwarted? You’ll find the answers in MILENGE MILENGE, a delightful fairytale of a romantic comedy that will make you fall in love all aver again. Shahid Kapoor is Amit: He’s your regular rich guy, who smokes, drinks and flirts with gay abandon. He takes life and affairs of the heart lightly. And by the time he realizes he actually loves Priya, it’s too late. She’s left him and their love to the vagaries of fate. Kareena Kapoor is Priya: She’s a die hard romantic, who believes that destiny and only destiny will lead her to her true love. She meets Amit and falls in love thinking its destiny. But then she realizes otherwise and is heart broken. She turns her back on love. Will she pay the price for turning her back on destiny? Satish Shah is Amit’s father: He dotes on his son, and takes pride in the fact that Amit doesn’t drink or smoke. Little does he know the truth. Kirron Kher is Sunita Rao: She’s a famous tarot card reader whose predictions seldom fail. Then why would Priya be an exception? MILENGE MILENGE is all set to hit the screens on 9th July 2010. The first frame that generally reads as that, ‘the characters involved in the flick are just imagination’… blaa blaah… blaah, but to our surprise the first frame of ‘Red Alert – The War Within’ says that it is based on real story. We might have read quite a lot of articles in the newspapers, on the Naxalite movement, which is the critical issue, to be solved and faced at the global level. We might have also watched stories in television about the poor farmers committing suicide in villages, bomb blasts and a young girl being gang raped and these stories are also forgotten by the people, as the days passed by. Red Alert- The War Within potrays about the the Naxal power, which is indeed a powerful subject, that keeps you hooked to the seat and keeps your eyes wide open, as the story unfolds. Red Alert – The War Within is the story of Narsimha (Suniel Shetty) a farm labourer, who desperately needs money to fulfill the basic needs in life. He is in need of money to feed his family and to send his children to school. At one instance, Narasimha finds himself in the midst of Naxalities, when he goes to deliver the food in the jungle. From then on, his life turns upside down, who is on the run for his life to save himself from law and as well as from the militants. Red Alert – The War Within, is directed by Ananth Mahadevan, who has also shown his excellence in the storytelling as well. The Splendid performance of Suniel Shetty,Sameera Reddy,Seema Biswas, Ashish Vidyaarthi, Ayesha Dharkar, Gulshan Grover, Bhagyashree can be said, that they have done the best roles of their career. Red Alert – The War Within is full of realism that promises to leave an impact on the watchers. Watch it, for the bold attempt of potraying the real stories. Movie Review: Ek Second…Jo Zindagi Badal De; Star cast: Jackie Shroff, Manisha Koirala, Muammar Rana, Nikita Anand and Agastyaa Singh; Director: A Partho Ghosh; Rating: *1/2 – AVOID!! June 11, 2010: Having missed the press show of the film, it was a tough job on my part to convince the multiplex staff to play this film which had no audience but just myself because I had to review this film. While they almost decided to cancel the show, they finally kept it on as two couples came in for the show, confident of seeking solace in the empty hall. Now if that, my dear friends, hasn’t given you any idea of how the film is! Well! Read on. The film narrates the tale, rather the tales of Rashi (Manisha Koirala) who is engaged to the famous novelist Shantanu Rai (Moammar Rana). She is unaware of all the girls who were present in Shantanu’s life before. Then destiny plays a game bringing Rashi face to face with a situation when she loses her job and misses her train, the very same day. Here on, the narrative structure suggests two parts. One where she is unable to catch the train and what follows thereafter and second one where she manages to catch a train and meet Yuvraj (Jackie Shroff) – who is a fun loving and kind hearted person. With a plot, that is blatantly copied from Gwyneth Paltrow starrer Sliding Doors (1998) which incidentally wasn’t much of a box office success, ESJZBD is a total bore. Though the bottom line of the plot suggests that whatever is destined to happen, do happen but if we fight against it and turn around the incident it will occur accordingly. But nowhere does the screenplay matches up to that. Badly written, and badly directed the film is a total waste of your time. Director Partho Ghosh ,who had once delivered super hits like 100 Days, Agnisakshi and Dalaal has lost his form and this one shows that he has completely lost his technical finesse as well. One wonders who the target audience of this film is. Manisha Koirala may be making her comeback but audiences have lost interest in her already. Manisha Koirala, in an author backed role, fails to evoke any interest due to her laid back style of acting. Jackie Shroff ,appears disinterested too. Pakistani actor Moammar Rana is mechanical. Nikita Anand looks hot and indulges in an uninhibited body display but displays very little of her acting talent. Rozza Catalano is just about okay but dances well in the item song. The producer of the film Suniel makes a blunder by casting himself in the film.